In an unadvertised day of tennis in Washington, the Mens main draw and Womens main draw were released and chosen at the CitiOpen draw ceremony this afternoon. James Blake and Vania King joined Zina Garrison in starting the proceedings. In womens qualifying, eight women moved on to tomorrow’s final round. 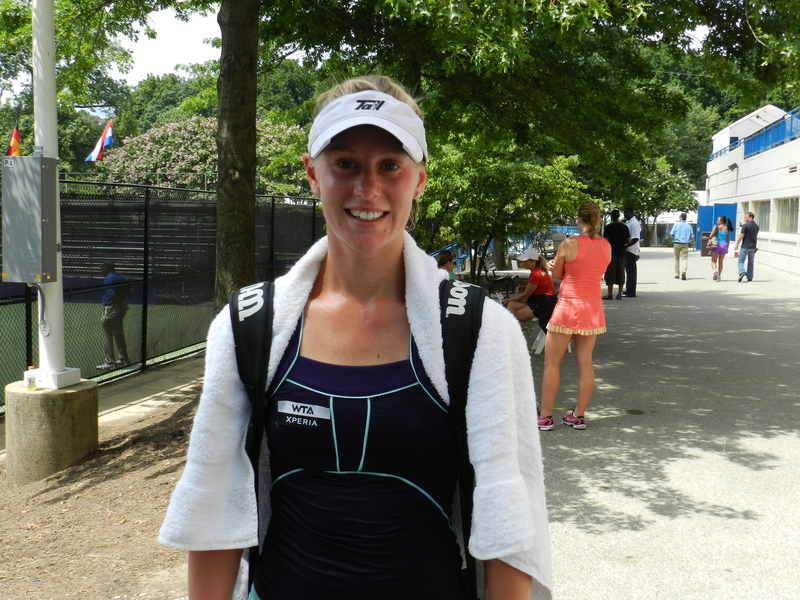 Alison Riske defeated Lena Litvak 7-6(4), 6-4, Jennifer Elie advanced over Simone Kalhorn 6-2, 6-1, Lauren Davis beat Tori Kinard 6-4, 6-2 and Jana Cepelova won the only three setter of the day 3-6, 6-4, 6-1 over Alexandra Mueller. 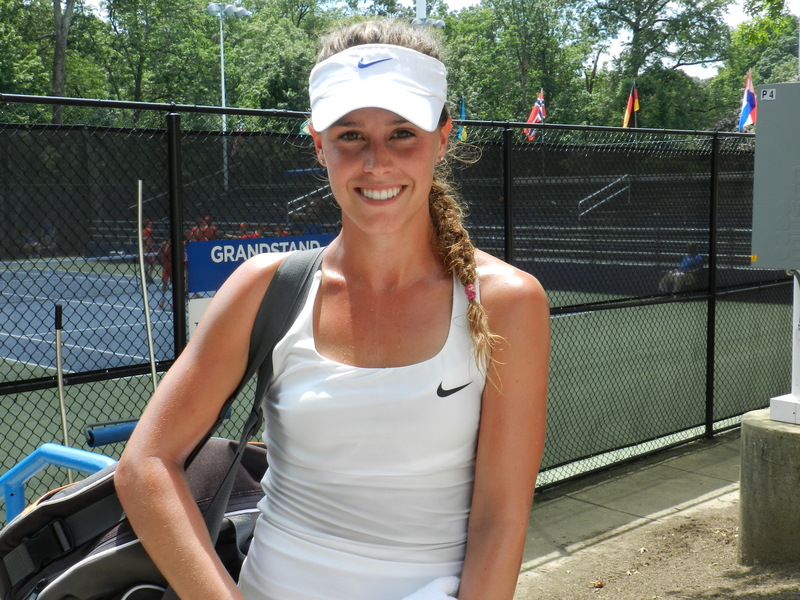 In the later matches, Michelle Larcher de Brito overwhelmed Alessondra Parra 6-0, 6-3 while Gabriela Paz whisked by Alexandra Kiick 7-5, 6-3, and Chieh-Yu Hsu knocked out Tamaryn Hendler 6-2, 6-3. 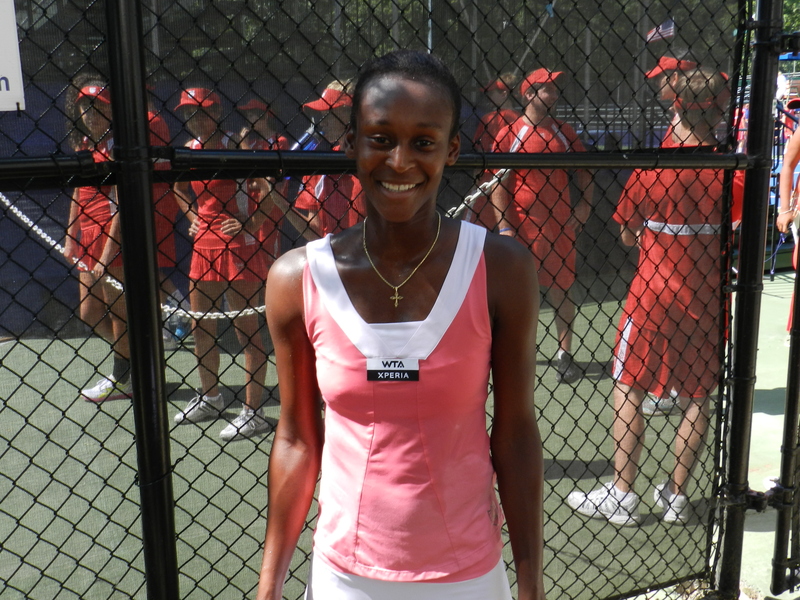 Boca Raton’s Tornado Alicia Black lost in her WTA debut 6-1, 6-2 today and was outmatched by #1 seeded French veteran Aravane Rezai. I look forward to seeing Black play again soon. Tomorrow, the women are sequestered to Grandstand 2, which is the original Grandstand and the court which offers the most shaded seats on the premises. Nice draw. Alison Riske and Jana Cepolova will get things started at 10:00 a.m., followed by Michelle Larcher de Brito and Gabriela Paz. 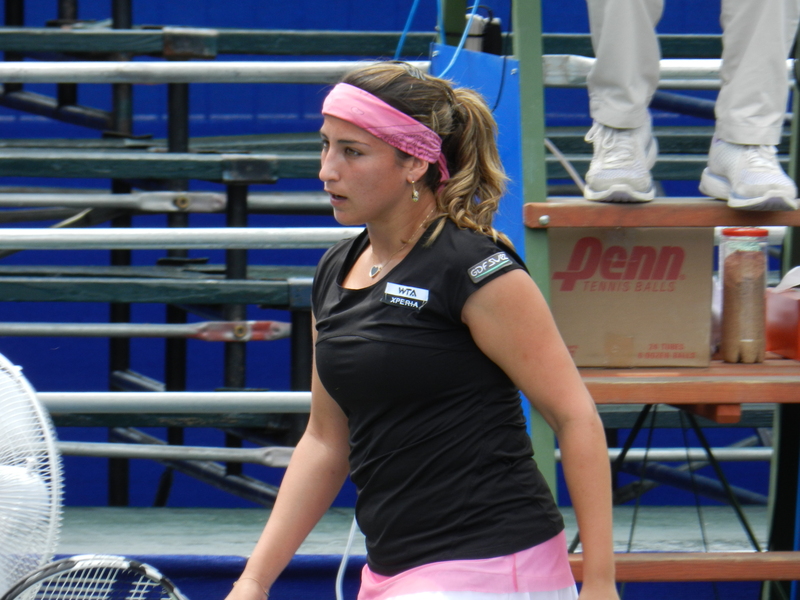 After that, Lauren Davis and Jennifer Elie battle for a main draw entry, followed by Aravane Rezai and Chieh-Yu Hsu. The Mens Order of Play and the qualifying draw remain mysteries.